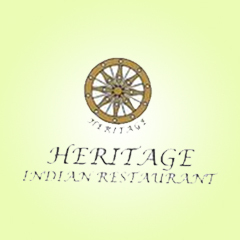 Heritage Indian Restaurant is one of the few Indian restaurants in Accra and even the whole Ghana. It is affiliated with one of the longest-serving and most popular Chinese restaurants in Accra – Noble House Chinese Restaurant. Both also blend their cuisines, so you’ll find Chinese dishes too in Heritage Indian’s telephone book-sized menu. They both are known for their good service. They are driven by passion - a passion for good food. Hence, they never compromise, be it the quality of ingredients, authenticity of the cuisine or the skills of the Chef. They always ensure the best. Be it kitchen or operations, marketing or customer service, they have some of the leading experts in the country. Their commitment to hygiene is one of a kind. At all their restaurants, hygiene comes first and they leave no stone unturned to achieve the best, be it ingredients or process related. Customer feedback is of paramount importance to them due to this their menu planning, their service standards, systems and procedures are constantly being enhanced to match customer expectations on a day to day basis. Being on Pizarea, customers are able to order their meals online and have it delivered to them. Customers can also choose to pay online with their mobile money wallet or VISA card. It is simple, safe, fast, and convenient. Heritage Indian meal can always be delivered to you. Their food prices are very affordable and the food portions are greatly satisfying. This high esteem that people have for them was achieved through a consistent eye for detail. Whether it is the import of ingredients from China or the training of personnel, whether it is the artifacts for the décor or the master Chef's culinary trips to India, no stone is left unturned to upheld authenticity. So browse their menu, order ad have an amazing time!! !